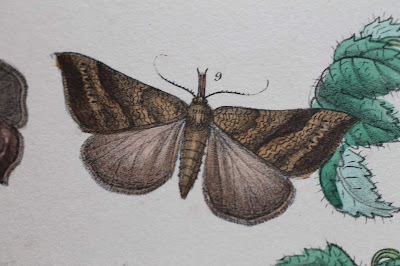 It’s now been over a week since I arrived at Shandy Hall and just when I thought was getting a handle on things, a few new moths arrived that threw me off my game. 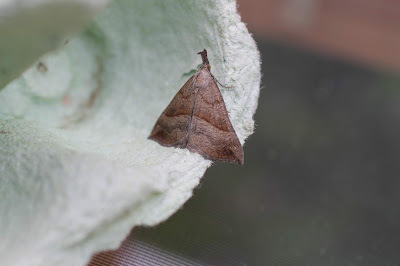 There were a few mystery moths and a particularly enigmatic bird dropping micro, however none are new to the garden –but that doesn’t mean they don’t have new insights or information to offer the blog! The Flame (Axylia putris) is an impressive piece of work; it looks almost exactly like a broken piece of twig. Axylia means 'cut wood' and putris means 'rotten', referring to the marking on the forewings and their resemblance to frayed, decaying timber. It can be found in British Moths and their Transformations by Humphrey's and Westwood under the name Xylina putris. The genus Xylina is no longer, but it translates as 'from the woods' - an apt name considering woodland is its main habitat although it can be found in hedgerows and suburban habitats. The Snout (Hypena proboscidalis) is another interesting looking moth. Its name, unsurprisingly, mocks its rather long and unusual nose. 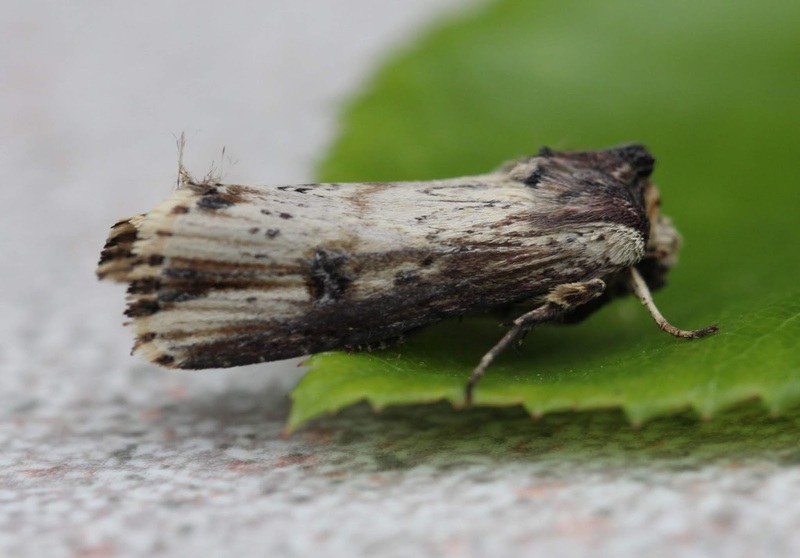 This moth eats a healthy diet that consists entirely of nettle, and can be found virtually anywhere the plant grows. 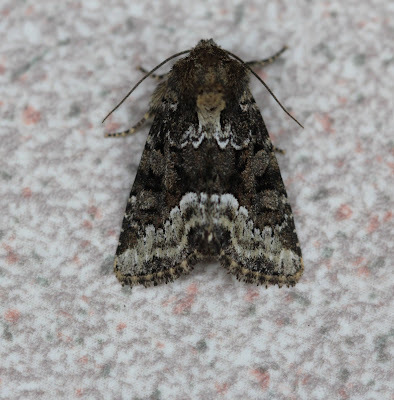 The Marbled Minor (Oligia strigilis) is a common moth, but one with so many different colors and slight variations that it can be difficult to identify. On this prime individual, we can clearly see why it is called a Marbled Minor with its swooping black, white and grey markings. Among the usual suspects were Buff Ermines, White Ermines, Silver-ground Carpets, Common Pugs (I think) and Plum Tortrices. 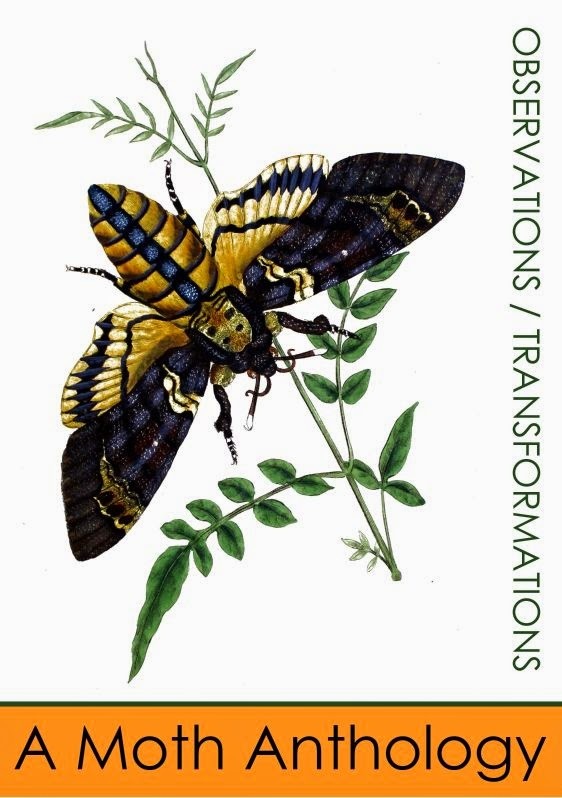 No Poplar Hawk-moths and I have to say –I missed those gentle giants! Nothing too flashy in the trap this time, but I can’t wait to see what’s in store for the next catch!